Jimmy Rollins is back with the Phillies. 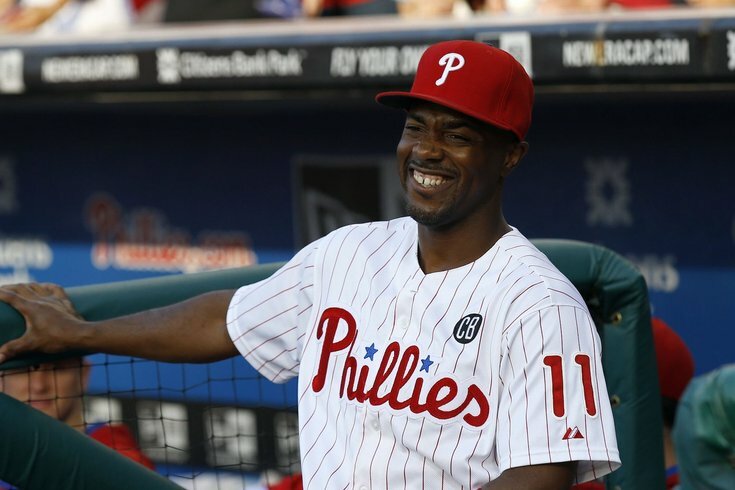 Yes, that includes Jimmy Rollins' smile. Jimmy Rollins is returning to South Philly in a big way in 2019. Just two months after the Phillies announced Rollins would be joining the organization as a special adviser, the former shortstop and National League MVP is headed to NBC Sports Philadelphia’s broadcast booth. Rollins will join the network as a color analyst for select games this season, the network announced Thursday. Rollins will make his booth debut with Tom McCarthy, John Kruk, and Gregg Murphy on April 22 when the Phillies face the Mets in New York. NBC Sports Philadelphia has made a habit of bringing former Phillies back into the fold in the broadcast booth. The network, then still known as Comcast SportsNet Philadelphia, hired Kruk in 2017, and hired Mike Schmidt as a color analyst for select games throughout the season in 2016. We're happy to announce that @JimmyRollins11 will be joining us in the broadcast booth for select games this season! Rollins, of course, spent the first 15 seasons of his career with the Phillies, racking up 2,306 hits, 887 RBIs, an NL MVP, and a World Series championship. The Phillies traded Rollins to the Los Angeles Dodgers in 2015, and he spent 2016 with the Chicago White Sox before retiring in 2017. The Phillies are celebrating Rollins’ career later this season with an official Jimmy Rollins Retirement Night on May 4, when the team hosts the Nationals. Fans 15 and over will receive a 2008 World Champions Replica Ring.